For the past year, I’ve watched the whole No Knead Bread craze from afar. I was skeptical dear readers, as is my nature when something appears to be too easy. You see, several years ago, I wanted to learn how to make bread. I mean really learn how to make a good loaf of bread. I had dabbled a little into bread making when I was a chef, but never had the chance to really get the hang of it, so I decided that it was time to get my feet wet. Whenever I want to learn about something that really interests me, I jump in completely. I almost become obsessed. I buy and read books, I find online forums, I watch videos, I read blogs, I pick people’s brains; it’s all consuming. 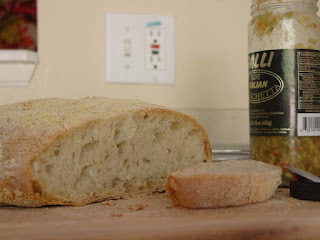 So, two years ago I did just that with bread. For a whole year, I made bread from scratch every weekend. 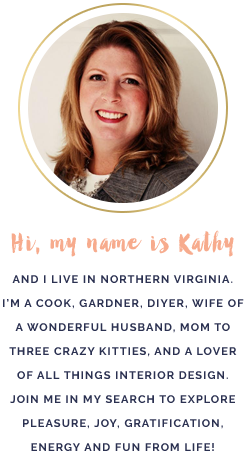 The King Arthur Flour website became my favorite haunt. I nurtured poolishes, and sour dough starters of every shape and size. I bought a baking stone and a baking peel. I had a large assortment of flours and grains, depending on what I was in the mood for or what I wanted to tackle next. I had bread baking containers of every size and element. My husband was in heaven. Who wouldn’t want homemade, fresh bread every weekend? So when I felt comfortable with what I had learned and experienced, I backed off. I never wanted to become a bread making expert, but just wanted to really learn it well. You know, just in case. But most importantly, I wanted to understand the science behind bread baking. I’m kinda nerdy that way. So, this weekend I decided to give this No Knead Bread thing a try, and I’ll be damned if it wasn’t a good loaf of bread! I knew it would be good because it sang the Crackling, Cooling Bread Song after I pulled it out of the oven. What’s that? You aren’t familiar with the Crackling, Cooling Bread Song? Well, when a rustic loaf of bread is baked to perfection, it makes crackling noises as it cools; the signal to a perfect, crunchy crust. It’s a beautiful thing! So, if you haven’t joined the party darlings, put on those cute little sling-back heels and your best cocktail dress and come on over! Fashionably late is so couture!